R.E. 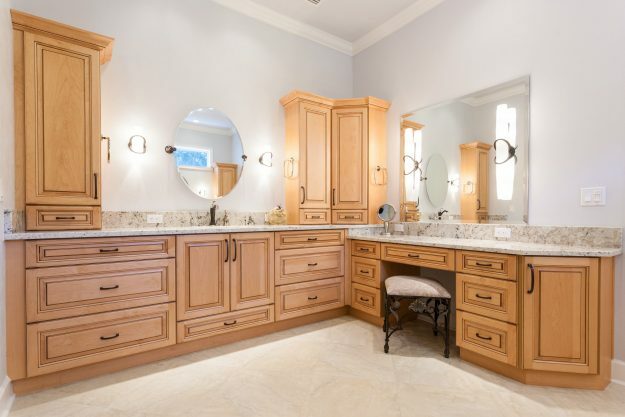 Robinson Remodeling and Custom Builder is well known in North Central Florida for their tradition of quality, dependability and moral character which they have demonstrated in the industry for over forty five years. R.E. Robinson Remodeling and Custom Builder, LLC injects these traditions into the residential remodeling and home building business. 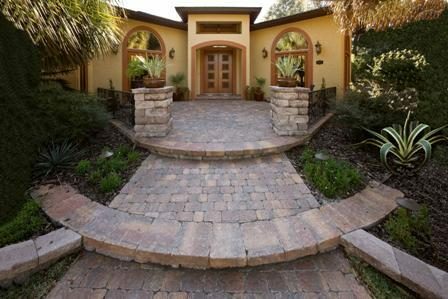 Our company provides full home remodeling focused on the needs of Gainesville and surrounding areas. They provide experienced Design/Build services with their design team and their professionals which stand behind every aspect of your remodeling experience and strive to provide your complete satisfaction. The measure we gauge our success by is the number of homeowners that have come back to use our services multiple times. A happy homeowner says it all. R.E. Robinson Remodeling and Custom Builder, LLC. is determined to be the best remodeling and construction team in Gainesville, Florida focused on excellence in quality and service for home owners. To deliver, achieve and surpass the expectations of our customers. To provide elite service by building on experience and reputation through improving family homes one home at a time. We will be the best Remodeler and Builder in Gainesville through building relationships, futures and fulfilling promises to each and every client. R.E. Robinson Remodeling and Custom Builder is a licensed remodeling firm with an experienced and passionate team. Our company can be your turnkey renovation solution. R.E. Robinson Remodeling and Custom Builder, LLC adheres to a ‘Code of Ethics’ for honesty, integrity and responsibility for all their projects. Our company is noted for the trustworthiness of their tradesmen in customer’s homes. Please see our Testimonials page to learn more about what our clients have said about R.E. Robinson Remodeling and Custom Builder, LLC. Communication, teamwork, and on-site supervision of projects from beginning to end are the keys to remodeling success. Our high standards of craftsmanship combined with reliability and integrity, yield a continuous list of satisfied clients. Please see our Remodeling Process page to learn more about how we approach and begin projects. At R.E. Robinson, we believe in making a difference by re-investing into our community to improve our hometown for families and future generations. It is our belief that our success in business should be positively reflected in our role in the community. See our Community Commitment page to learn more about our contributions. Our family is often asked, “How are we related to the other Robinson families in the area and about to the old Robinson grocery stores? Explore the Robinson Genealogy, to see testimony of our family’s origins and roots in Gainesville and North Florida. These records and stories have been passed down as well recorded in family history references. The accounts of life during the Depression and post WWII life in Gainesville provide interesting perspectives into how people lived here. We hope you enjoy this information, if you have references that tie into our history or would like more info to work on your own families genealogy, please contact us. Generally, we trace most of our family to southern Georgia, the family name traces back to Frederick Roberson who is believed to have lived in Southern Georgia in the 1700s. Frederick’s son, Jacob Roberson lived until 1868 and is buried in Wayne County, Georgia in the Old Bethel Baptist Church Cemetery. Jacob’s son was John Roberson. John Roberson’s son was named Isaac, Isaac’s recorded surname was Robinson. The change to the surname is not certain but believed to have occurred due to a census or birthing record incorrectly recorded or as simply as when Isaac left the South Georgia area and when he arrived elsewhere he spelled it the best he could. The name however stuck and Isaac lived his life as Isaac Robinson. Regarding the Robinson surname, the names Robertson, Robinson, Roberson and Robison were often used interchangeably in early records. Few people could read or write and clerks who were hired to write legal records spelled names as best they could. Later in Isaac’s life, in coincidence, he met Maude Robinson with the same maiden surname, (no relation), who’s family came from the Panhandle of Florida and Southern Alabama. Jay is a fifth generation native of Gainesville and follows the family’s lineage in construction. R.E. Robinson Remodeling and Custom Builder is known for their tradition of quality, dependability and moral character which they have demonstrated in the industry for over forty five years. We provide full home remodeling focused on the needs of Gainesville and surrounding areas. Our experienced professionals stand behind every aspect of your remodeling experience and strive to provide your complete satisfaction.